UPDATED—People often ask us about the chances fathers have of getting primary custody in Washington. Taken at face value, the laws don’t favor mothers over fathers. But even though both parents have equal legal footing, it doesn’t always play out like that. A recent report from the Washington State Center for Court Research offers interesting statistics that shed light on this matter. In fact, only 19.5% of all cases did parenting plans feature a 50/50 split. That number is up slightly from 18% in 2010. Related Reading: Can Your Ex Keep Kids from Playing Sports? The study also examined risk factors and their influence. This includes domestic violence, child abuse, and chemical dependence and the impact they had. Risk factors played a part in roughly 14% (14.1%) of families—10.8% of fathers compared to 3.3% of mothers. In both instances, chemical dependency was the most commonly cited—at 3% in mothers and 5% in fathers. The more risk factors one parent had, the less likely they would receive full custody. In 46.6% of cases, the courts granted a mother with no risk factors full custody when the father had one. This jumped to 58.1% of cases when a father had two risk factors, and to 68.2% when he had three. On the other side, fathers won full custody in 35.3% of cases when the mother had a risk factor. Again, this bumped up to 63.3% and 61.1% for a second and third risk factor respectively. Statistically speaking, fathers were slightly more likely to lose residential time with their children due to risk factors than mothers. How Are Parenting Arrangements Decided? In general, we think of child custody as a decision handed down by the courts. However, that’s not always how it plays out. In fact, that’s not even usually the case. So, how did we wind up with these parenting arrangements? In the vast majority of cases cited in the study (86.9%), the parents came to an agreement on their own, without court intervention. They were able to work out a parenting plan one way or another. Of these mutually agreed upon plans, in 61.3% of cases, mothers received majority parenting time. In just over one-quarter (25.3%) of these cases, did mothers and fathers receive equal parenting time. Overall, only 2.4% of cases went to trial or involved contested hearings. In these instances, 74.4% of the time, mothers received majority custody. In less than 10% of cases (9.3%), mothers and fathers received equal time with their children. While it may appear that you face an uphill custody battle as a father, there are ways to improve your chances and strengthen your case. Spend as much time as you can with your kids. It demonstrates your commitment to being, and remaining, an involved parent and a continuing part of their lives. Courts don’t like to drastically change a child’s routine. So if you’re already a big part of that, that’s more likely to continue. It’s also important to play nice and not interfere with your ex’s time with the kids. The ability to work together to co-parent your child is important. You and your ex have to make decisions about your child’s life and well-being. It’s key to prove you behave like an adult. In short, if one side had a lawyer and the other did not, the parent with representation usually came out ahead. When fathers had a lawyer and mothers did not, fathers received majority custody 25.6% of the time. Beyond that, they received equal time in 35% of cases. So in almost 61% of these cases, fathers wound up with at least a 50/50 split, if not more. That’s a pretty compelling argument for hiring a child custody lawyer. 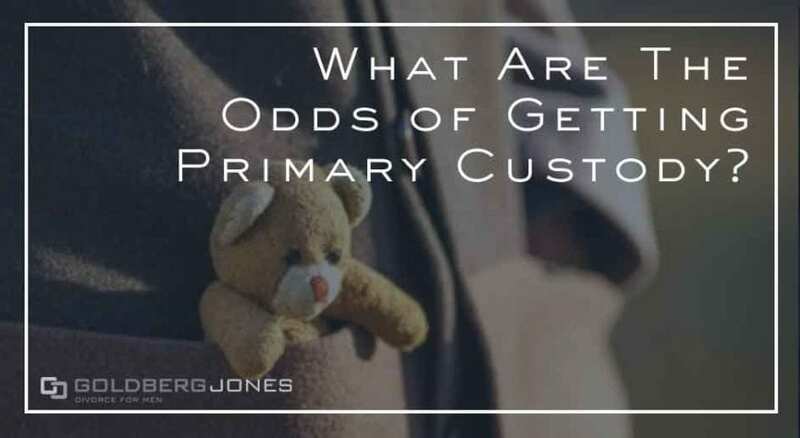 It can definitely help increase your odds of getting primary custody.